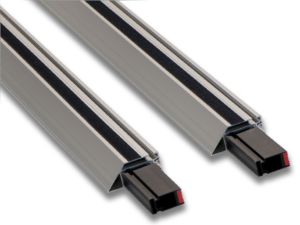 Leading Edge supplies custom aluminum extrusions for the vinyl window industry. Leading Edge supplies both custom and standard extrusions for select industries as well as custom stocking programs. Profiles such as screen frame, track, reinforcement, internal profiles, etc. Leading Edge’s aluminum extrusions are typically made up of the 6000 series alloy with circle size capability up to approximately 12” in diameter. Additionally, Leading Edge offers painting, powder coating, fabrication, and anodizing along with mill finish extrusions. Contact us about your custom extrusion needs.